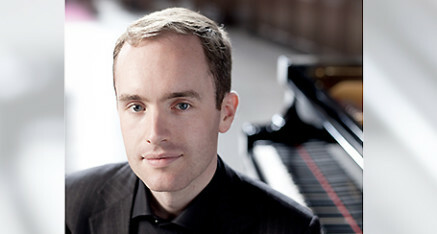 Steinway Artist Simon Callaghan performs internationally as a soloist and chamber musician. His recent tours have taken him to Japan, Malaysia, Thailand and on two occasions, to the Banff Centre in Canada. He has performed at all of the UK’s major concert halls including Wigmore Hall, Royal Festival Hall, Birmingham Symphony Hall, Liverpool Philharmonic Hall and St David’s Hall Cardiff. 2016 and 17 will see Simon undertake concert tours in the UK, Austria, Germany, Holland and Switzerland. His interest in rarely-performed works has led to invitations to perform concerti by Françaix, Tippett and the first UK performance since 1946 of Medtner’s 3rd Concerto. His rapidly-expanding discography includes solo works by Sterndale Bennett, Parry, Sacheverell Coke and two volumes of Delius with Parnassius Duo partner, Hiro Takenouchi, on the SOMM record label. In 2016 he will make his debut concerto recording for Hyperion with the BBC Scottish Symphony Orchestra and Martyn Brabbins. Festival invitations have included Highgate, Whittington and Cervo Chamber Music. Callaghan is also regularly invited to perform on luxury cruise liners and has performed frequently on BBC radio and television. In chamber music he has collaborated with Jack Liebeck, Giovanni Guzzo, Tim Hugh, Thomas Gould, Raphael Wallfisch and the actors Timothy and Samuel West, and Prunella Scales. His extensive repertoire has included complete cycles of Beethoven and Brahms chamber works, and a three-concert residency as St John’s Smith Square in London, exploring the piano quartet medium. Contemporary music performances have included works by Joseph Phibbs, Julian Anderson and Kenneth Hesketh, and he was recently invited by the Royal College of Music to play Boulez’s Dérive II as part of their ‘Variable Geometry’ series.